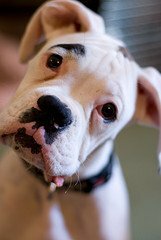 "Things to Consider when Looking for Dog Breeds"
Considering a Dog as the Pet for You? It is easy to see why, after all dog breeds have been around for hundreds of years, if not thousands, they have a tried and trusted record, being man's best friend and loyal companion. They work alongside man, serve him well and ask only food and affection in return. They do not criticize or question, being intelligent, they are easily trained and respond well to treats, obedient, happy, loyal and hungry. If you choose wisely, you could have a pretty good partner on your hands. Before you rush out and get yourself that irresistible bundle of fluffy play thing. Would that tiny bundle of fluff really make any difference? YES! In 18 months time when 'Fluffy' weighs more than you do, and occupies the space where the sofa used to stand. Did the Dog Breed you Chose End Up Larger than Life? There are lots of small dog breeds to consider that will suit you and your home. Yes, Great Danes, Rottweilers, German Shepherds, St Bernard are all large dog breeds,that make excellent working dogs any of which I would be proud to own. Like any other large dog they need space and plenty of exercise. If you have the space in your back garden set up an agility course, dogs love the challenge and you get the benefit of a little lite exercise, it will also solve some behavioral problems that can develop in some dog breeds. Dogs love EatingWith a good healthy dog comes a good healthy appetite, a well balanced diet will keep your dog fit and well. Large dogs will need more food but not as much as you may think. Quality not quantity is the rule when feeding your dog, many dogs will eat their food in double quick time, and ask for more, with those big brown Oliver Twist eyes that you can not resist. Dogs, like humans can suffer from many health problems, and while the health of your pet should be your major concern, you should not get over anxious over every cough and sneeze. 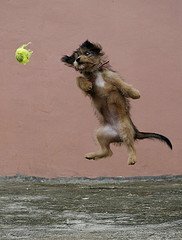 The majority of well exercised dogs with a balanced diet will live a long and very active life. Getting to know your dogs behavior will help you to recognize when something is wrong. When you do notice a change in your dog it is then that you should seek the advice of a veterinarian. At this point the best free pet advice I can give you is when purchasing a dog is to purchase pet health insurance cover. Should your dog be unfortunate enough to develop a serious ailment or be involved in an accident, then the cost of treatment can be quite expensive compared to the relative low cost of pet health cover. Bringing a dog into the family home will naturally incur some cost and it is wise to create a budget to cover those costs. This way your dog will have all he needs and and you will have no nasty surprises when the real cost of living with an extra mouth to feed comes along. Keeping you and your dog safe.Before bringing your dog home, do a complete check that your home is a safe environment for a dog to come into, trailing electrical cables are so attractive to a dog and can be fatal should your dog decide to have a chew. This is one lesson I learned after a pet rabbit chewed through a telephone cable, luckily for the rabbit the line was a very low voltage and the rabbit had no ill effects. Needless to say even after the repair to the line, which cost a 'Buck' or two and as I didn't have the 'Doe' at the time reception was always a little 'Hop-hazard' there I go Rabbiting on again. All joking apart it could have been fatal for the rabbit if he had chewed the T.V cable instead. A lesson learned, ensuring all hazards are removed will keep you, your dog and your bank balance secure. A happy dog with a waggly tail can cause a lot of damage, coffee cups, glasses of wine, priceless ornaments nothing is safe. Checking that your fencing is secure and there are no escape routes, narrow gaps between fencing etc, can save you a lot of worry. Third party insurance against claims of damage or bites when your dog is not under your supervision is always a good idea. The cost is not expensive, but the claims can be! Whether you are planning to travel into town, the next town or half way across the world it is important that you make every provision for the safety and well being of your dog , again choosing your dog breed to match your lifestyle and circumstances is critical. Traveling any distance with a dog in a car can be quite traumatic for both dog and driver. Travel crates or cages and safety harnesses should be employed to ensure a safe journey. Many dog breeds encounter anxiety while traveling and their safety should be paramount. Consider boarding kennels if you are going a long distance for a vacation. There are an increasing number of pet friendly hotels that offer reasonable accommodation. Traveling by air requires a little more preparation as most airlines have their own set of rules regarding pet travel. In conclusion there are many aspects to owning a dog and I hope that some of the points I have made here have given you something to consider before making that final decision. When you decide a dog is right for you, it will be well worth the time you have taken to make those choices you have made. 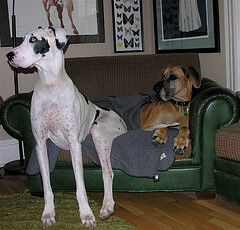 My favorite large dogs and why I can not resist them.